Lack of Oxygen kills over a quarter of a million Nigerians each year, LifeBank wants to change that. LifeBank is a healthcare technology and logistics startup based in Lagos, Nigeria. Founded in 2016 by Temie Guwa-Tunbosun, the company mobilizes blood donations, takes inventory of all blood available in the country, and delivers blood in the right condition to the point of need. 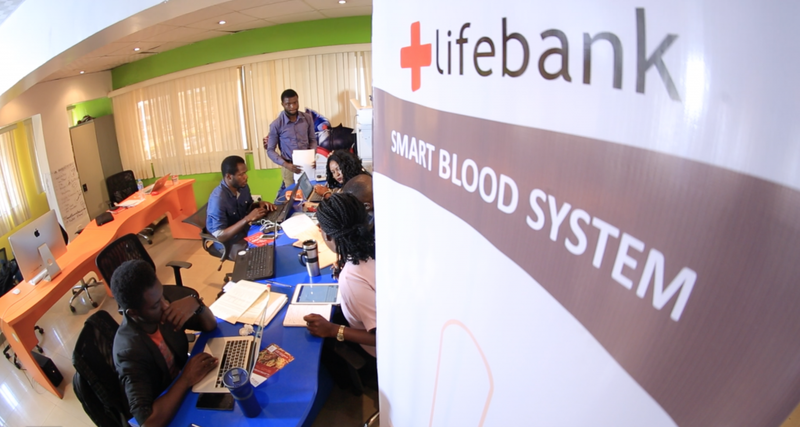 Using WHO-approved equipment, LifeBank has transported about 9000 pints of blood and saved more than 2000 lives and it boasts of 40 blood banks and 300 hospitals on its platform. The team sorts orders based on urgency, location and price and keeps its blood deliveries at the optimal 10 degrees Celcius. Interestingly, this time Temie and her team have taken on a new challenge, they’re on a mission to reduce the deaths linked to limited oxygen availability by improving oxygen distribution to hospitals across Nigeria. A report by the Federal Ministry of Health reveals that over 625,000 deaths are caused by diseases associated with hypoxaemia, also known as low blood oxygen saturation. Of these deaths, over 170,000 are of children under 5 who are casualties of pneumonia induced hypoxaemia. These numbers are made worse by the limited oxygen availability in hospitals across Nigeria and contribute to Nigeria’s devastatingly high child mortality of 100 deaths per 1,000 live births — the 6th highest in the world. Oxygen delivery systems in Nigerian health facilities are severely hindered by the lack of access to equipment such as pulse oximeters, non-invasive hypoxaemia screening devices recommended by the WHO. When available, existing oxygen equipment is often of poor or unverified quality. With AirBank, the team will deliver on-demand emergency medical oxygen to hospitals across the country, especially in Lagos and Abuja. The delivery of medical oxygen will also come pulse oximeter kits, and soon, will offer scheduled deliveries to replenish hospital stock. Thanks to LifeBank, now access to oxygen is just one call away.